A brown coat and black socks is a savvy combo to add to your casual repertoire. For something more on the daring side to complement this ensemble, choose a pair of tan leopard athletic shoes. We all getup for comfort when it comes to dressing up, and this combination of a black leather biker jacket and Vetements black reebok edition classic socks from SSENSE is a practical illustration of that. Kick up the cool of your ensemble by wearing burgundy leather loafers. 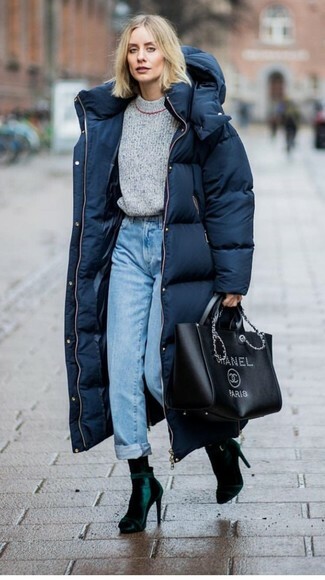 Reach for a navy puffer coat and Vetements black reebok edition classic socks if you're hunting for an outfit idea for when you want to look casually cool. 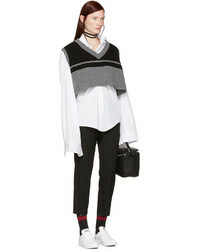 Let's make a bit more effort now and throw in a pair of dark green velvet ankle boots. We all want comfort when it comes to dressing up, and this combination of a black trenchcoat and Vetements black reebok edition classic socks is a great illustration of that. Play down the casualness of your look with black leather ankle boots. 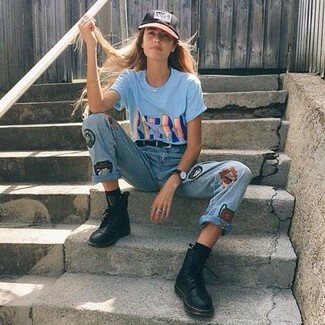 If you're a fan of relaxed dressing when it comes to fashion, you'll love this seriously stylish combination of a light blue print crew-neck t-shirt and Vetements black reebok edition classic socks. A pair of black leather lace-up flat boots will add some real flair to this ensemble. If you're a fan of relaxed dressing when it comes to fashion, you'll love this extra cute pairing of a dark purple open cardigan and Vetements black reebok edition classic socks. Dress up this outfit with black leather ankle boots. 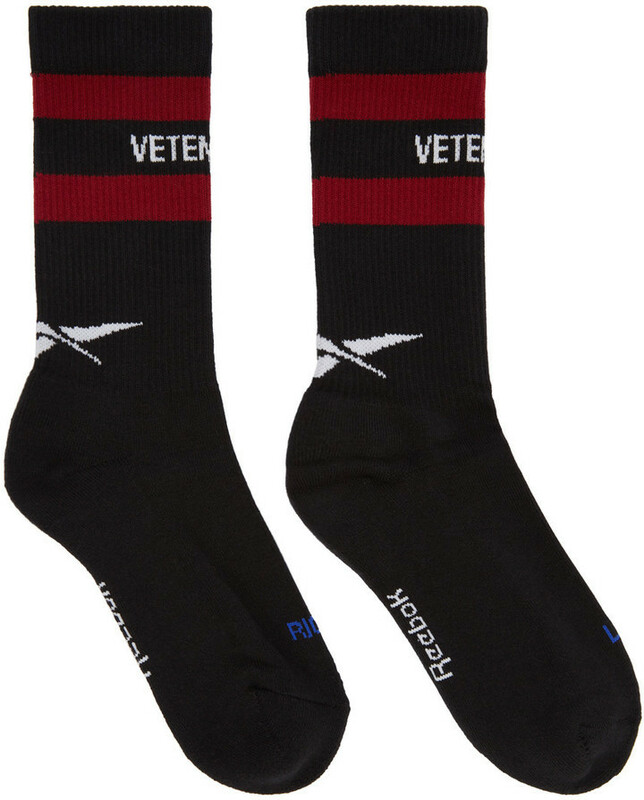 If you're a fan of functionality dressing when it comes to fashion, you'll love this totaly stylish combo of a brown knit cardigan and Vetements black reebok edition classic socks. When it comes to footwear, this getup is finished off nicely with brown leather lace-up flat boots. If you're obsessed with relaxed dressing when it comes to your personal style, you'll love this extra adorable combination of a dark brown shawl cardigan and black socks. Elevate this ensemble with brown suede ankle boots. 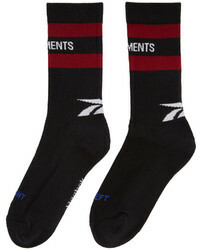 If you're all about feeling relaxed when it comes to dressing up, this combination of a black turtleneck and Vetements black reebok edition classic socks from SSENSE is what you need. Up the cool of your outfit by completing it with white and black polka dot suede pumps.